Cheese is an undeniable comfort food when temperatures drop. 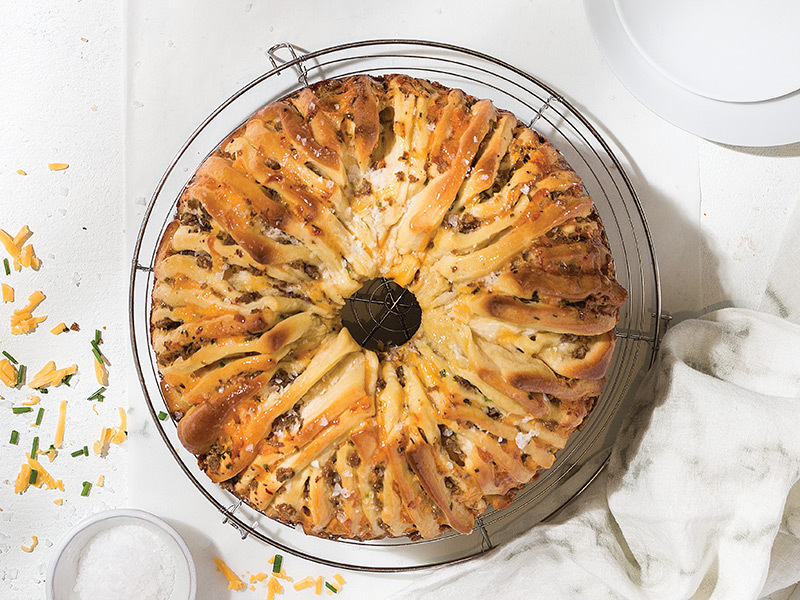 From sharp Cheddar to nutty Gruyère, it plays up the herbs, spices, and seasonings of your favorite baked goods. 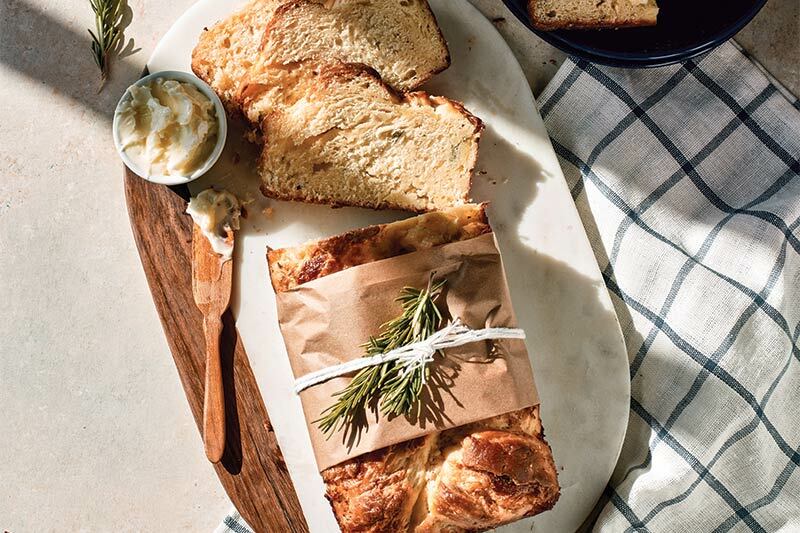 Whether you’re after the mild tang of our herbaceous Cheese and Rosemary Brioche or the subtle heat of our spicy Brie-stuffed flatbread, our cheesiest recipes yet will get you through the cold snap. 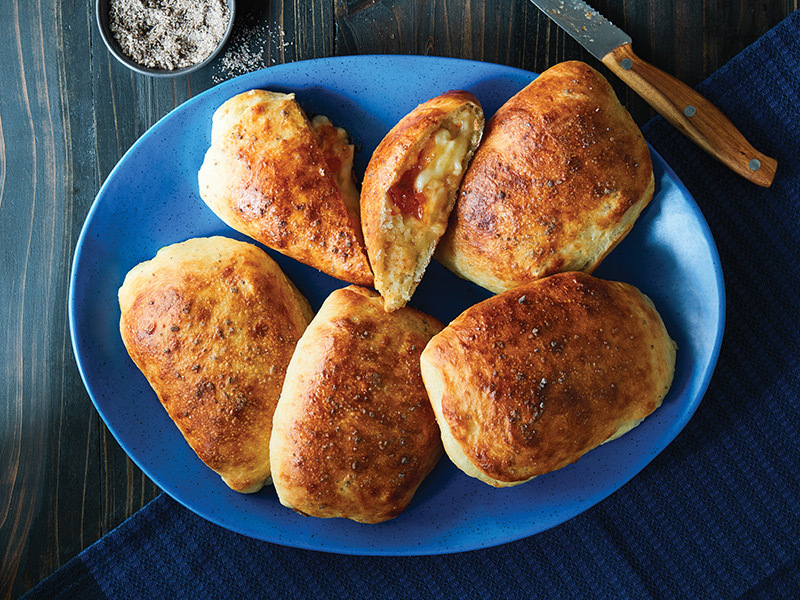 Breakfast sausage and pockets of melted Cheddar make this savory round the unquestionable star of the breakfast table. 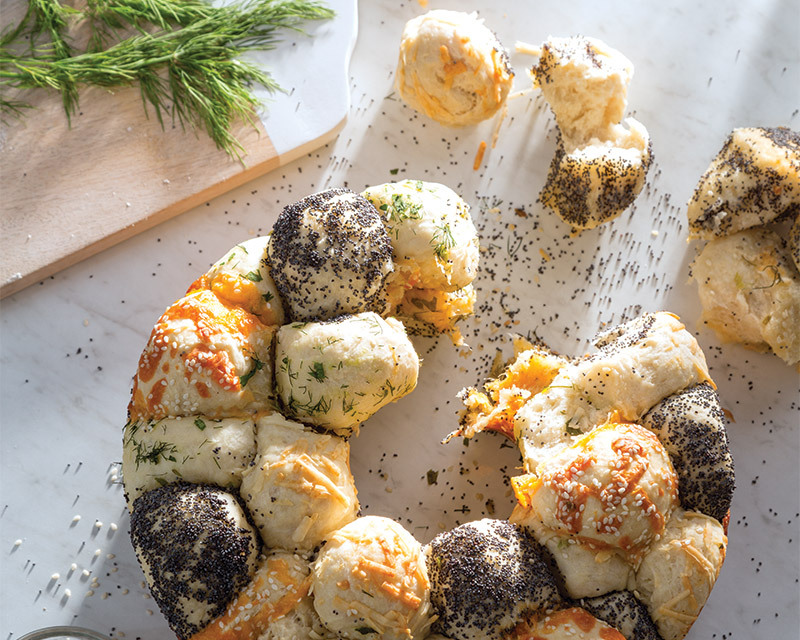 With flaky pull-apart layers that are perfect for sharing, this is the recipe your weekend brunch has been waiting for. 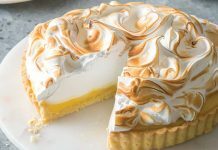 Find more ways to bake with a tube pan in our 2019 January/February issue! 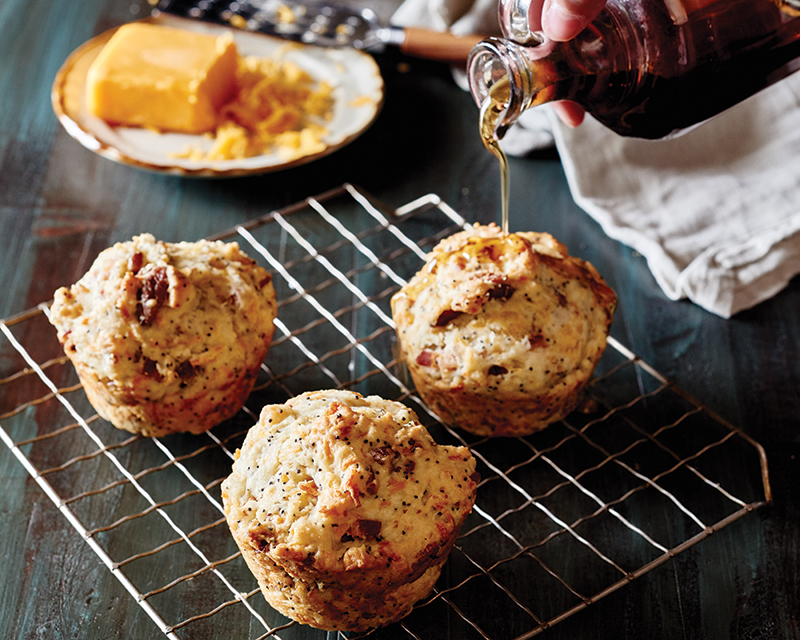 This cheesy, bacon-filled muffin will satisfy all of your savory breakfast cravings. With spicy jelly and melted cheese, these Sweet and Spicy Roasted Garlic and Brie Stuffed Flatbreads by Erin Jeanne McDowell are perfect as a meal alongside a big salad or just as a comforting snack. Find more savory recipes in our latest cookbook, Bake From Scratch Volume 3! The term “monkey bread” was first used in Southern California in the 1940s. Most commonly known as “pull-apart bread,” it refers to a rich bread formed into separate pieces of yeast dough. 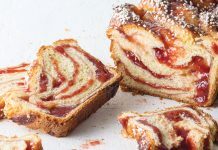 Ours is a savory twist on the classically sweet crowd pleaser with four different flavors all baked into the same loaf. Your crew can pick around to eat their favorite or mix and match bites of all of them.